From as far back as i can remember EA have been making their rather excellent football games for the consoles of the time. Today we at DCEmu get the chance to review Fifa 14 for the Playstation 3. Ive not played Fifa properly since Fifa 11 so it will be interesting to see how its improved since then, graphically it should be just about perfect for what the PS3 can display but its gameplay where it matters, with football games you need to be able to get the feel of the game before you try the more messi type gameplay. Fueled by EA Sports Ignite, FIFA 14 will feel alive with players who think, move, and behave like world-class soccer players, and dynamic stadiums that come to life. Players have four times the decision making ability and feel alive with human-like reactions, anticipation, and instincts. With 10 times more animation depth and detail than previous consoles, FIFA 14 delivers the dynamic movements and biomechanics of the world's best soccer players. Players are agile and athletic as they plant, pivot and cut, and explode out of each step. The increased fidelity has a game-changing effect on gameplay. Plus, the artistry and athleticism of soccer will come to life with the addition of hundreds of new types of skills and hundreds of new behaviors. And for the first time ever, fans will feel the electricity of a living stadium as the emotions of new 3D crowds rise and fall around the stories on the pitch. Pure Shot - Shooting has been transformed. Players have the intelligence to adjust their stride and approach angle to find the best position for hitting the back of the net. Well-hit balls feel satisfying and goals are rewarding. As well as quality strikes, players can now shoot while off balance or rushed. Real Ball Physics - Strike the ball with more force and finesse. Realistic ball physics now determines the trajectories of balls in game, enabling players to strike the ball with force from distance, drill low rising shots with accuracy, and blast dipping or swerving shots, just like real soccer players. Protect The Ball - Dominate midfield and dictate the tempo of a match. Fend-off and block defenders from the ball while dribbling at any speed. Protect the ball from opponents to control play through midfield and dictate the pace of the match. Plus, out-muscle opponents for position before receiving the ball, then turn defenders to carve out opportunities. Teammate Intelligence - Better decision-making delivers tighter, smarter marking and improved run tracking. Defenders recognize opportunities to provide support and win back possession. Attacking players have new ways to outsmart their opponents and break down tighter, more intelligent defenses by creating space for themselves, running along the backline and checking their pace. Sprint Dribble Turns - Utilize quick, explosive cuts and turns to beat defenders one-on-one while sprinting with the ball. Players can move in any direction, preserving their natural momentum and maintaining possession of the ball. Variable Dribble Touches - The First Touch Control of dribbling varies a player's touch when dribbling with pace. Skilled players have the touch and control to stand out while less skilled players will experience fewer perfect touches and more uncertainty dribbling, creating opportunities for defenders to win back possession, and placing emphasis on building play through midfield. 2nd Chance Tackles - The tackling zone has been extended to enable defenders to combine different types of tackles, recover from missed tackles quickly, and have a second chance to compete for the ball in any tackling situation. Curling Lofted Through Balls - Players have the ability to curl the ball around opponents to deliver precision passes to teammates or send the ball into space. Skill Games - A competitive practice mode that enable players to learn or master the fundamental skills necessary to compete at FIFA 14. Become a better player, faster, no matter what your skill level, competing against yourself or friends in all-new mini-games. Career Mode - Search for talent year-round with the new Global Scouting Network that brings the world of professional scouting to life. Develop and refine your own scouting network. Evaluate soccer players to uncover the attributes of players who could bolster your squad during the transfer windows. A new hub delivers easy navigation, fewer interruptions and live scouting reports. Complete Authenticity - All the authenticity EA Sports is known for with officially licensed clubs, leagues and more than 15,000 players. The review itself will be done by both me Wraggster a 40 plus year old whos played games for nearly 35 years and my son Jamie who is 18 and has been playing for nearly 14 years, we are in no way professionals but have a genuine love for decent gaming. Over the years ive played some excellent football games from the likes of Emlyn Hughes on the Commodore 64, to Sensible Soccer and then to International Superstar Soccer of them all only Fifa and Pro Evolution Soccer exist over the years. I love realism but i want a game where i can ease myself into the game and then play for months. Lets see how this version of Fifa is for me. Well first off an update, i dont mind as long as it fixes any broken stuff. As you would expect from a product updated every year the menu system and options are pretty vast. First thing its asking me if im new and i want recommended settings, well thatll do for me. One thing i dont like from the off is the monetisation in the game, if your paying full price for a game i dont want to see them basicallly trying to grab more for options that should be included. Online play looks a great new addition to the days when i played, wouldnt want to be paired up with someone who is not in my skills league as it would put me off playing again online. Overall happy with what im seeing so far, the game has a nice clean look to it with easy to use options for customisation, as with any game you can be as indepth as you like, personally i just want to face Derby County . Graphically it looks superb, the in game menus are again very polished and if you have played Fifa before you will feel very much at home, the commentary doesnt sound too annoying either. The feel of the game is just about right for me, easy to pass but not too easy or too hard that i lose interest, the usual highlights played at half time show off the graphics nicely. Totally enjoyed the match, i lost but feel theres lots to relearn and just updated the sides online, so nice to have the latest squads, pity im not a fan of Barcelona or Real Madrid they both have fantastic teams now. Player likeness seems very good too, nothing worse than someone you know being the wrong colour. The career mode looks great and very indepth, i prefer playing football manager than doing both but interesting for those who want a lot from the game. I wrote the rest of this 2 days ago and now im a lot more aquainted with the game, been enjoying the Career mode and the commentary of other matches whilst playing is something ive not tasted before. After playing it more ive grown to admire the game a lot more, the loading between screens is a tad slow and when playing in the rain i feel its overly sluggish the game that it but overall to say ive not played since Fifa 11 then i give this a massive thumbs up. Any football fan who wants to play the game and enjoy some management features will love this game, hard to see how you can improve any more on the PS3, but then again the PS4 is here now, so it may get so realistic youll think your controlling a live game. Out of 10 then hmm, a solid 9 out of 10 especially if you havent brought it every year. Not that much i can add but the menu lagging is somewhat of a nuisance, one thing that really annoys is that when you foul or get a bit rough youll get carded or a penalty against you but all the time the computer opposition do it to you and no response from the ref. Saying that though, play the game a few seasons and use the advanced features most notably using the L1 button and the game will warm a lot more to you. Thanks to Viking Computers for the review sample. Every day im going to review a game, none will be massive reviews as im not a journalist im just a gamer, the reviews will be from the retro days right up to todays games, most of the best games transcend time. 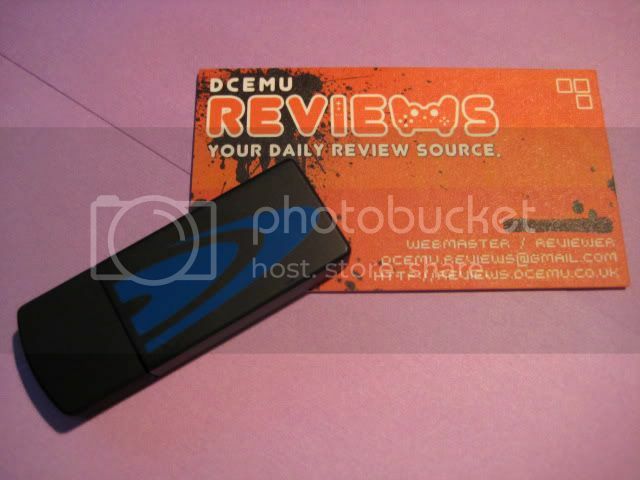 If you would like to write reviews of games you play then please post them in our User Submitted Review forum, ill then add a few screenshots etc and post them on DCEmu Games Reviews. 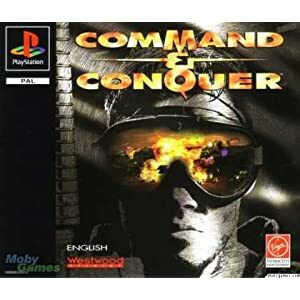 Having played this on PC many years ago i decided to tackle Command and Conquer the original version all over again, the graphics are dated now and the game is quite slow but saying that sometimes you need it to because to win the game you need more strategy than in todays RTS games. Because i was playing on the PSP i found the game hard at first to get on with the controls but after a while grew to the stage where i was very competent. The game lasted me nearly 2 and a half months slowly progressing through the levels. In the game you start off with basic weopens and get new ones each level so the learning curve is awesome, i am a player who likes to defend first and then hit them on the counter attack, so for me a slower game plays to my strengths. If you havent played the game before then either on PS1 or PSP/PS3 via the PSN Store why not give it a try, def worth the money despite the outdated graphics. If i was to give it a score out of 100 it would be a decent 88/100. 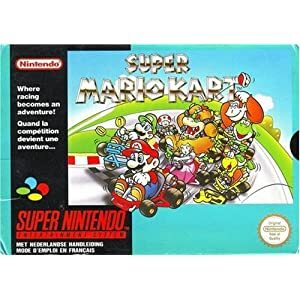 Today its the turn of Super Mario Kart, this game when it was released just awed the public, no one had seen anything like it, the single player mode was awesome, you had to progress from 50cc Karts up to 150cc Karts. The ability to throw shells, go invincible, throw bananas and much more made it a AAA killer game. But the real killer mode was the 2 player Battle Mode where you start off with 3 Balloons and you chase each others around trying to burst each others balloons, i used to have daily Battle modes up to 15 wins with a mate the game was that good. Even now after countless sequels the original is still very much the best in my eyes and on any system that i try to use Snes emulators on its one of the first i try. So if you have never played it, either buy a Snes and the original game, via Virtual Console on Wii or by using a Snes emulator make sure you play one of the best games of all time. If i was to give this a score out of a 100 it would be 98/100. Ive been a gamer for near on 33 years now and enjoy most games. Theme Park on the Playstation 1 was one of the greatest Theme Park Creation and Management games i have ever enjoyed. In these busy days of trying to work and have some game time i find portable gaming my only chance to enjoy myself. 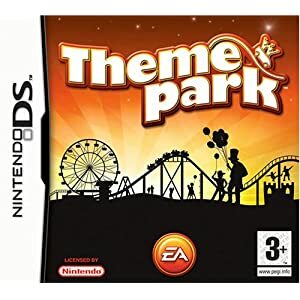 So Theme Park on the Nintendo DS was the perfect game for me to try and if you have played it on any other console youll love it on the DS or 3DS if you have one. The games graphics are just right and the gameplay is as i remember it. The addition of using the stylus has made for one of the best games on any handheld system. If i was to give it a score out of a 100 i would give it a very high 94/100, i personally rate it that high. I know, we've been a little MIA with vacations, work, newly launched photography website and a semi slow scene. But today, after getting off work and stepping into the house...SURPRISE! The new True Blue JB2 dongle was delivered. We weren't even expecting this in the mail. This is the newest jailbreak device for the PlayStation 3. Of course, we'll bring you a full review. But right off the bat, this is not your typical USB dongle. No plastic casing! This thing is housed in a metal case...even the cap! You can purchase the True Blue dongle from LighTake along with a bunch of other gaming accessories. Winners will be contacted via Facebook with instructions to provide mailing information. Make sure we are able to contact you or you forfeit your prize. Congrats! To everyone, be sure to follow us for the latest gaming news and reviews! It has been awhile since we had a contest. So we're back with a new contest! 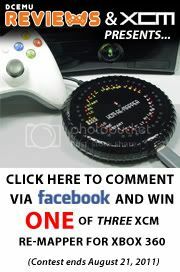 We have THREE (3) XCM Re-Mapper up for grabs! To some, the Xbox 360™ controller is most arguably the best controller, but the button location may not be the perfect place for some games. In order to fix this, you may need to re-map some buttons that will suit your preference and gaming style. What if you're left handed and like to use the left LT as your shooting trigger and RT trigger for throwing grenades or even switching weapons? The XCM Re-Mapper allows you to re-map ANY button on a wired Xbox 360™ controller (except SELECT, START and Guide button) making gameplay that much easier, enjoyable and playable now. *You MUST use a wired Xbox 360™ controller. XCM Re-Mapper will NOT work with wireless Xbox 360™ controller Play & Charge Kit. We would like to thank XCM for sponsoring this giveaway. You can also purchase this from Play-Asia or Amazon.com. You can read our full review here. Be sure to subscribe and follow us on YouTube (dcemureviews), YouTube (dcemutube), Facebook and Twitter for more news and future contests! All you have to do is LIKE ( ) our Facebook page and you MUST leave a comment on the contest post itself and you will be automatically entered. Commenting anywhere outside of Facebook, anywhere else on Facebook or other status posts will not be valid. If you already are a fan on our Facebook page, no worries! Just leave a comment on the contest post. Only 1 entry per person. The contest ends August 21, 2011; 12AM EST and winners will be chosen randomly and first post will be updated with winners. Winners will be contacted through Facebook for mailing address. Failure to respond or being unable to contact the winner will result in forfeit of prize. *DCEmu Reviews and DCEmu is not responsible for lost or damaged packages and/or electronic devices. All shipping of prizes are handled by XCM. Any concerns in regards to prize or shipping, please contact XCM at xcmcc@xcm.cc.